District citizens are going to be asked this November to vote on whether they support statehood for the District. Before the fall, the city intends to hold public hearings on a proposed constitution that would be the foundation for the state of New Columbia. As a citizen, your Notebook wants the full voting rights enjoyed by other Americans. There’s no practical reason New Columbia couldn’t carve out a modest federal enclave for the seat of government. There are plenty of political reasons against statehood. There’ll be no shortage of opposition. The Notebook just wants to point out that statehood efforts and excitement have risen and fallen more than the Kennedy Center curtains. Mayor Muriel Bowser has helped set off the latest — and most aggressive — round in a couple of decades. She is supporting the creation of the constitution, its passage in November and its presentation to Congress. The city could make public the constitution later this week. There’ll be public hearings and, possibly, revision during the summer. Even the name “New Columbia” is not set in constitutional stone. WAMU reporter Martin Austermuhle has done a good job of wrapping up this entire subject in an easy-to-read report. 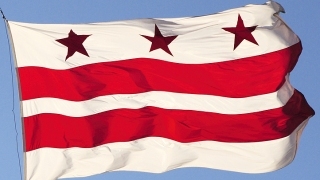 You can find it at tinyurl.com/wamu-statehood. ■ Bowser on WAMU. And you can join the Notebook and host Kojo Nnamdi by tuning in on Friday at noon. Mayor Muriel Bowser will be our guest on the Politics Hour, WAMU 88-5. We welcome your questions. Email us at kojo@wamu.org or tweet us at @kojoshow. ■ LGBTQ suicide. At-large D.C. Council member David Grosso is being honored Friday night for his work with suicide prevention. The Trevor Project is honoring Grosso at the Monaco Hotel for the first law in the nation that requires school suicide prevention policies to specifically address gay and lesbian students. The Trevor Project is a national group focused on crisis intervention and suicide prevention for LGBTQ youth. ■ Security camera cash. It seems with cellphones and security cameras, we’re all on camera all the time. Ward 6 Council member Charles Allen has been to more community meetings than you can count. He said when it comes to crime, anxious community members come back time and again to the idea that home and business security cameras help prevent and solve crimes. Now, the city is in the midst of Allen’s $500,000 security camera rebate program. More than 200 individuals and businesses have applied for rebates that are given once the cameras are installed. Homeowners neighborhoods can get up to $500 for their cameras, commercial and nonprofit groups $750, with priority given to police service areas with known crime issues; in Northwest, these are PSAs 103, 202, 207, 208, 302, 303, 305, 307, 308, 402, 403, 404, 405, 406, 407, 409 and 501. Visit tinyurl.com/ovsjg-cameras to learn more and apply through the Office of Victim Services and Justice Grants. ■ Resisting Trump. As we’ve pointed out before, the TV version of the Notebook is going to the Republican National Convention in Cleveland in July. We’ve been watching Maryland Republican Gov. Larry Hogan. He was an early supporter of Chris Christie in his party’s presidential sweepstakes. But since Christie dropped out, Hogan has steadfastly avoided endorsing anyone else. At a news conference last Friday, the governor had had it with questions about whether he’d end up supporting Donald Trump, who is closing in on the nomination. “I’m not going to answer any more stupid questions about Donald Trump,” said Hogan, as quoted in The Baltimore Sun. The newspaper reported Hogan restated his intention not to endorse a candidate or be involved in the presidential race. Back in mid-March, Hogan had told The Associated Press he didn’t think Trump should be the nominee. You can’t blame him. Hogan has tried to keep to a moderate-conservative, Maryland-oriented path. He’ll want to run for re-election in 2018. As a Republican in a mostly Democratic state, he doesn’t want to unnecessarily muddy his own political waters.